I consider myself a furniture maker; to me, that’s a sub-group of woodworkers. A furniture maker is more narrowly focused on building furniture. As a result, I have a narrow view on fasteners. I buy these screws by the gross. When I use them, for the most part, I strip off the zinc plating using gun bluing purchased from a sporting goods store – at least that’s where I easily find the solution. 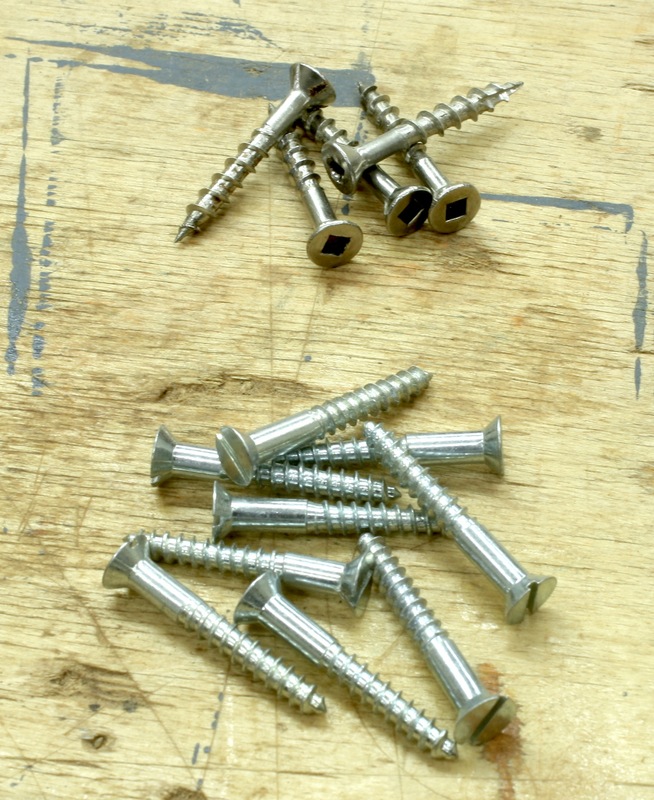 Other screws I buy are square-drive, self-tapping screws used for jigs and other shop stuff, and I sometimes purchase other sizes of wood screws if I find the need. But that’s not often. I have a similar philosophy when it comes to nails. I keep 1-1/4″ and 1-1/2″ fine finish (reproduction) nails on hand. 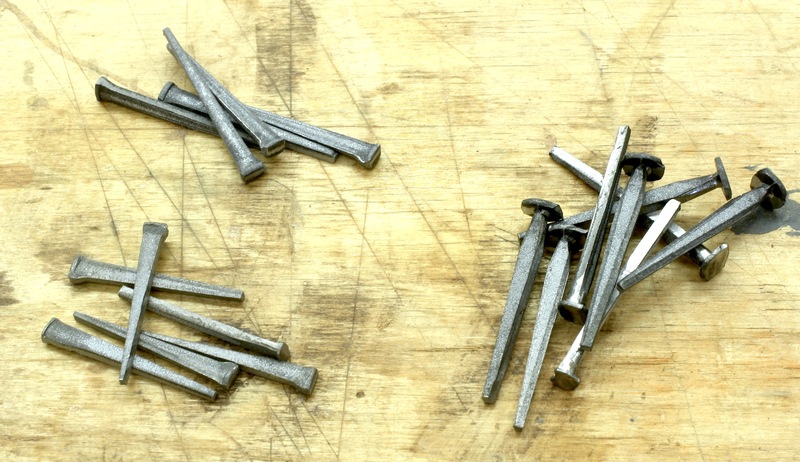 And I have 1-1/4″ shingle nails (the headed ones in the above photo). The finish nails are used on show faces of nailed-together furniture, and the shingle nails are used mainly for backboards, and for interior work where the nails seldom show. I’ve had a box of headless brads gathering dust in the shop for nearly 20 years. I discovered that these nails were a pain to install and set, but more importantly, I discovered that the small rectangular depression left by the #18-gauge nails driven by my air-powered nail guns look almost identical to hand-driven brads. The only difference is that on occasion, hand-driven brads need to be pulled, and that messes up the surface. And before you write that air-driven brads can shoot out the sides of your projects, remember that you need to accurately size the brads for the task, and pay attention to grain direction. I have a couple of lengths of #18-gauge brads – 1″ and 1-1/4″. I also use a #23-gauge fastener. 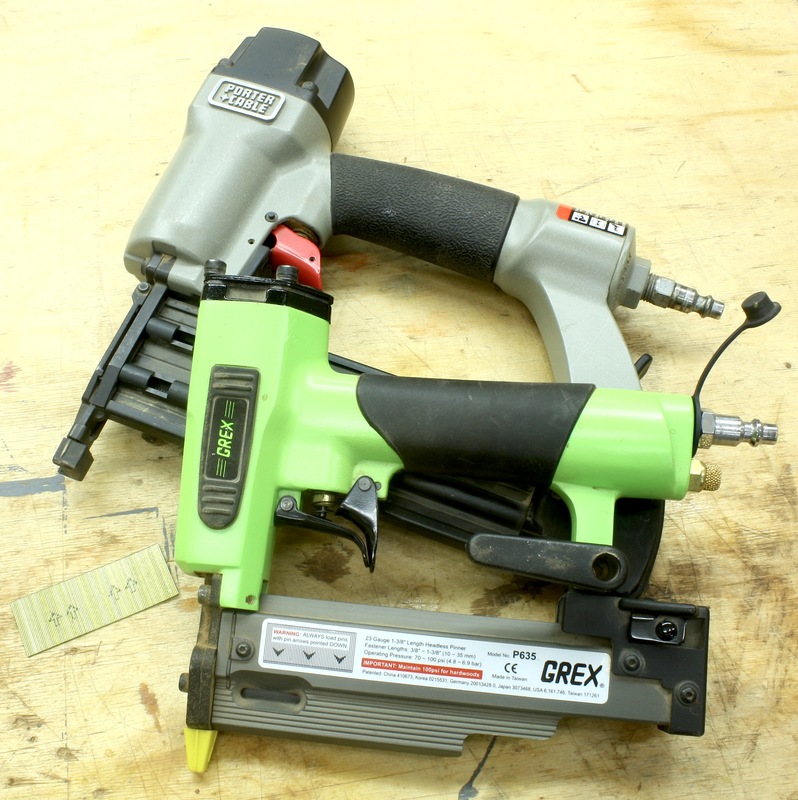 These fasteners disappear, and are perfect on small moldings. You can call me nail and screw deficient, but I’ve made it 22 years and built a few more than 500 pieces of furniture using just the fasteners. I think that’s all I need.